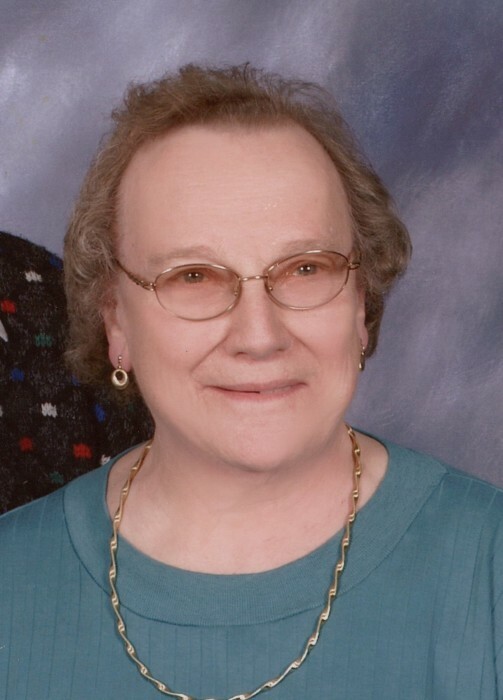 Arlene Held, age 83, of Foley passed away peacefully on Saturday, January 26, 2019 at the Foley Nursing Center. Mass of Christian Burial for Arlene will be 10:30 AM, Thursday, January 31, 2019 at St. John’s Catholic Church in Foley. Rev. Michael Wolfbauer will officiate. Visitation will begin after 9 AM at the church Thursday. Burial will be in St. John’s Catholic Cemetery. Service with Dignity provided by Foley Funeral Home. Arlene Ann (Dedic) Biederman Held was born April 23, 1935 in St. Cloud, Minnesota the daughter of Frank and Ida (Daehn) Dedic. On October 1, 1955, she was united in marriage with Norbert Biederman at St. John’s Catholic Church. The couple made their home farming and Arlene worked hard tending to the newborn calves, gardening, and canning their harvest each year. Norbert died in 1976 and in 1978, Arlene married Lloyd Held Jr. at St. John’s Catholic Church. Arlene was a gifted seamstress and talented crafter. She enjoyed fishing and playing cards with family, especially when she had the opportunity to ‘trump’ Lorraine Potuzak. She volunteered with Benton County 4-H Busy Bees and chaired the 4-H lunchstand at the Benton County Fair for many years. She was active on the Funeral Committee for St. John’s Church and the women’s quilting group. She did sewing, embroidery, and quilting with many of her Cabbage Patch Dolls and Care Bear projects being shown on display for Northwest Fabrics. She patiently taught family and friends how to sew one-on-one or through 4-H classes. In her later years, Arlene enjoyed flower gardening, especially her favorite colors of purple and red. She took pride in a demonstrator job with Coborns happily visiting with customers as they enjoyed samples. And she cherished time with her good friend, Dorothy Eilers as they would walk together on a daily basis. Arlene had a very caring, loving, and generous heart. She will be greatly missed. Arlene is survived by her daughter, Sue (Ralph) Worm of Sauk Rapids and son, Phillip Biederman of Foley; step-children: June (Jody) Schave of Sartell, Gary (Michelle) Held of Oak Park, and Shelley (Sean) Kuepers of Rice; 8 grandchildren; 10 great-grandchildren; as well as nieces, nephews, other relatives and friends. She was preceded in death by her parents; first husband, Norbert in 1976; second husband, Lloyd in 2010; and infant son, Joseph.